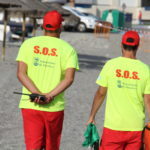 MORE than 3,700 incidents were attended by the safeguard team across beaches in Almuñecar and La Herradura. This number represents an increase of 300 per cent if compared with the same period of 2014, according to the performance report made by the local Civil Protection team, and explained during a press conference by Citizen Safety councillor, Juan Jose Ruiz Joya. 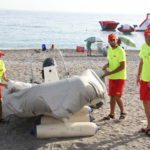 The document explains that the increase was brought about by the many incidents caused by jellyfish, which amounted to a staggering 3,400 events during the summer months. Other incidents had to do with wounds and injuries caused by sea porcupines which amounted to around 300. The report also showed that the maximum temperature registered in the water was 33 degrees this year. 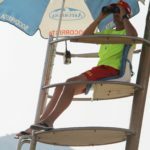 It is the second year in a row that the four surveillance points in the San Cristobal, La Herradura, Puerta del Mar and Velilla were watched over by a total of 34 qualified lifeguards who were hired after an extensive selection process with a total budget for the council of €105,000.